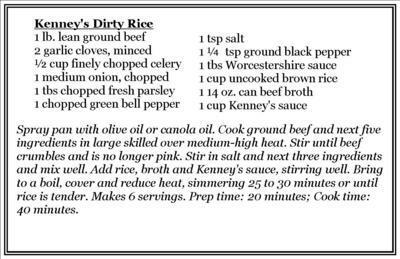 Try Kenney's Sauce and help Huntington Area Habitat! 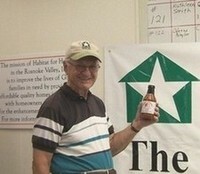 Several months ago, Huntington Area Habitat received a letter from Mr. William Kenney with information of the introduction of his own Kenney's Sauce to the Huntington market. The sauce is now sold in the condiment section of all Kroger stores in the area. His sauce promises a sweet mild flavor and is made locally. Though it does not get top billing amongst the big companies who make Barbeque sauce, the sauce is easy to spot. Just kneel down and look for the Habitat for Humanity name. The sauce is definitely worth trying, And when you do, you'll be helping our affiliate as William donates all of the profits his sales in the Huntington Area to us. We recently received a $100 check from William as our portion of his profits, and it is the second contribution we've received since the product was introduced in Huntington. Copyright © 2006 Huntington Area Habitat for Humanity.